Accessory sales for the two weeks following the launch of the iPhone 6 lineup reached a record $249 million, the latest data from the NPD Group Weekly Tracking Service shows. That was a major increase of 43 percent from the two weeks prior. In contrast, a year ago, when the iPhone 5s and iPhone 5c went on sale, accessory sales were $195 million. The 2013 iPhone launch only caused a 17 percent spike over the previous two weeks. "New iPhone form factors always provide a short-term boost to traffic and volume to the consumer electronics market, but it's the accessory purchases that keep the momentum going," said Stephen Baker, vice president of industry analysis at The NPD Group. "Case sales specifically, and accessory sales in general, remain an excellent proxy in measuring the long-term demand for a phone." Though the iPhone 6 and iPhone 6 Plus weren't announced until Sept. 9 and launched less than two weeks after, the size, shape and dimensions of the new handsets had been known for months due to leaks from Apple's supply chain. 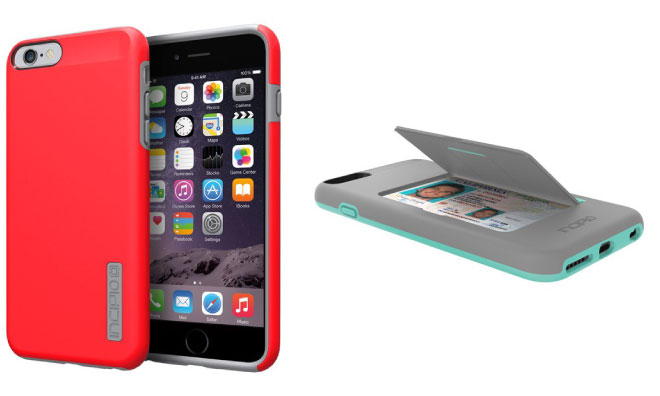 Third-party case makers gambled by manufacturing accessories based on these leaks, and in this case they won, leading to a number of case options available on the market at the time the iPhone 6 launched, despite the fact that it had a completely new form factor. Case revenue was up 78 percent following the iPhone 6 launch, NPD said, while unit sales grew 63 percent over the two weeks prior. Screen protectors also saw revenue grow 120 percent versus the pre-launch period. Other accessories didn't quite see the same increases, as mobile power products increased 5 percent, headphones with microphones were up 10 percent, and Bluetooth speakers grew 5 percent. "The new iPhone releases, and the subsequent mobile accessory purchases that result from them, are one of the key opportunities helping to set the stage for a strong fourth quarter and holiday season," Baker said.